It is really very sad to see Jews with self-imposed paganism rituals which have nothing to do with Jewish teaching. Some Jews think that the more restriction or ridiculous ritual they impose the better they serve the Jewish cause. 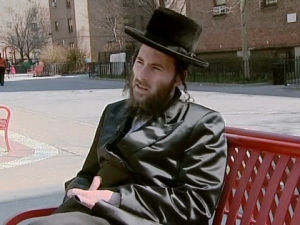 What really scars me is a report that I read in one of the Israeli newspapers suggesting that by 2059 half of the Jews in Israel would be Haredi. I think this would be the end of the state of Israel because no one will defend Israel as the Haredi will rely on God’s help as they did in the Holocaust. I think as Jews we need to put a stop to this. I read also the story about ZAKA it is very sad that it ends this way and certainly does not meet with common Jewish teaching. Initially ZAKA was established out of nowhere by Meshi Zahav, a Neturi Kartha Haredi, to collect all the body part of people who were killed in terrorist attacks perpetrated by the Moslems against the Jews. ZAKA then had a good purpose and they got a lot of money from various contributors and they actually were used to good life. But now as terrorist attacks are gone they lost very many contributors and got to redefine their organization and hence the problem. What really scars me is a report that I read in one of the Israeli newspapers suggesting that by 2059 half of the Jews in Israel would be Haredi. Don’t worry, Yoel; Israel won’t last that long. They’ll have driven it into the ground long before then. At Yoel Kornblum, Sorry, but I think you are misleading many, by creating doubt as to G-ds protection over beleivers, infact, Haredi’s will see, G-ds help, the fact that they are growing, easily demonstrates G-ds help. In no way are they the answer, but in no way are they not the answer, G-d is here, closer than you can see with those eyes, and he shall show. Thank You for reading.